Sorry, I can’t help because “postal hand marks” are not my topic! But I am able to be the contact person to forward your e-mail-account if anybody would like to assist you on your hobby! 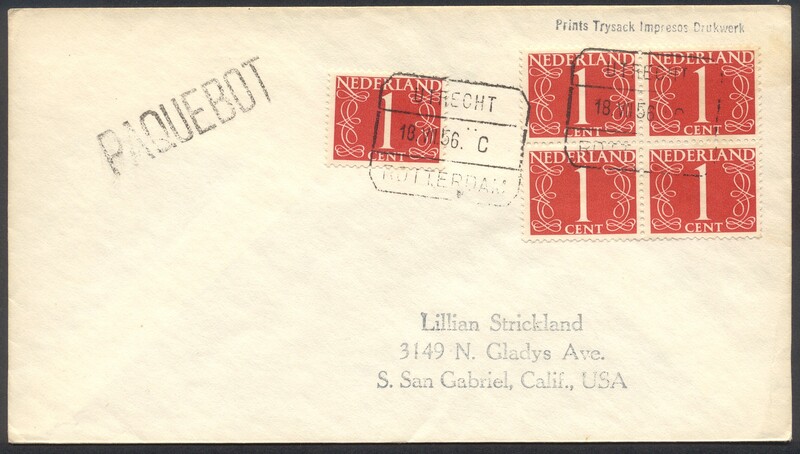 I have a stock of wonderfull classic letters…but unfortunatly can´t trace real postal identity. I am at PORTO -Portugal…light brilliant of classic sailing or steam . A new unlisted Paquebot mark of Freeport/Bahamas was reported by D.Stratmann. and you will see the scans. Freeport/Bahama ausgestellt. 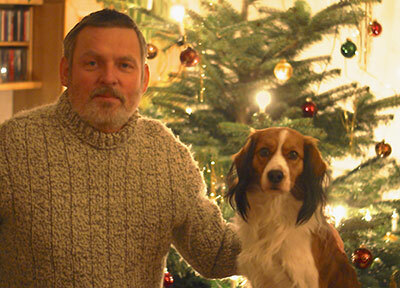 Wenn Sie im Suchfeld der Galerie “Freeport/Bahamas unlisted” eingeben können Sie die beiden scans betrachten. You find a better view of the shown letter of entry 10 in the gallery. Please enter “Rotterdam unlisted” in the search field and a high solution scan appears! Who knows this cancellation or can help with information about this paquebot mark? Today are 2.377 cards and covers exhibited in the gallery! Many thanks! Der Beleg ist jetzt unter dem Titel “Medan unlisted (B)” in der Galerie zu sehen. On the picture below is on left the Miri # 3226 and on the right Miri # 3227 from my collection exhibited in the gallery. 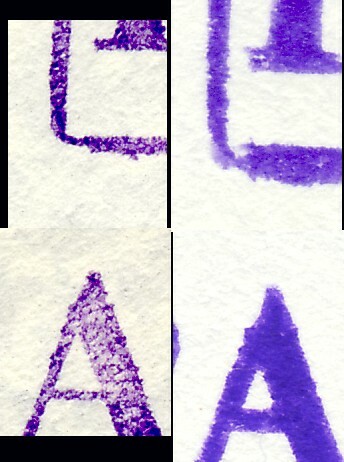 The top of “A” is dented on left side on both scans. The frame has a step in the left lower corner on both scans. The mark of Miri # 3227 is a little bit blurred vertical but it seems that both characteristics are identical! Therefore I belive that both cancellations (applied 1977 and 1990) are made with the same stamp. The comlete cover of Djakarta is shown in the gallery under “Djakarta unlisted”.